God has an amazing way of letting me know that my very life is resting in His love, moments when heaven touches me and I feel a love that surpasses my senses that I somehow knew but unaware of. Then as that awareness awakens, details that before seemed random come into focus as tiny brush strokes providing, light, depth and color purposefully portrayed by the Master to illustrate a depth of love I can not fathom. At the age of 41 with a Lymphoma diagnosis and the on-start of chemo-therapy my wife Tammy and I were told that, besides fighting for my life the result would leave me sterile unable to have any more children naturally. This was definitely a heart break especially for my wife who always wanted a big family and we were really loving the two children we had, Robby and Tess who were at the time seven and six years old. My wife really shines when it comes to babies, in fact I would say it is the way that my wife reflects God’s glory, it’s her “awesome sauce”. Tammy can hold babies and get more out of it than anything I know. No doubt the story of my healing from Lymphoma and being crushed by a Jeep were miraculous for me, (as told in stories at my web site christiancaguy.com and published in “Divine Intervention: 50 True Stories of God’s Miracles Today.” The stories are titled “Who’s That Guy with the Knife” and “My Radical Rescue”), but for Tammy, especially, enlarging our family was a gigantic concern. So we prayed, but like many prayers I wish I could tell you I had great faith that God would come through, but this was one, I honestly figured wasn’t happening. Two years later I was now forty three and Tammy was 35 one night Tammy asked me to take the whole family to Outback Steak House for dinner, including her brother and his family a little strange but I wanted to please my wife and I agreed . Once there she dropped a simple comment I thought, “You are going to be a dad”.. I thought, “well duh, isn’t that a bit obvious”. Then came, ‘The LOOK’, “oh you mean I am going to be a dad”, now, it was coming into focus. “What, How, You can’t be serious?” I reasoned, again, ‘The LOOK’. Now laughing and excited, we really were overjoyed. Once again God had come through way above and beyond my expectations. Now came the task of naming the new baby, with a big brother and sister we enlisted their help. Our daughter Tess said she knew a great name. “Mariah”. You see we live in North Carolina and for years we had loved taking our children to a ‘Wild West’ amusement park in the Blue Ridge Mountains near Boone, called, ‘Tweetsie Railroad’. A cowboy there found out my daughter’s name was Tess and every time he would see us, (which was a lot, we had season passes), he would sing a lyric from a song from the Movie, Paint Your Wagon; “They Call The Wind Mariah”. He would sing, “The rain is Tess the fire is Joe and they call the wind Mariah.” So perhaps Tess figured we would go on and have another child as well and call him Joe. None the less, Tess sold us all on the name Mariah. Tammy’s due date was July 6th but as determined as Tess was that the name be Mariah or Joe, Tammy was as determined that this baby be born on the 4th of July. So when we went to a rodeo July 3rd 1999, Tammy had us go up and down the bleachers a few times to jostle the baby into position for a Firecracker Start so to speak. It worked and later that night she went into labor. We had purposefully never discovered any of our children’s gender ahead of time, (we like surprises) so we had decided on Noah if a boy or Tess’ choice, Mariah if a girl. Sure enough shortly after 1pm on the 4th of July, Mariah Notley Dilmore was born. 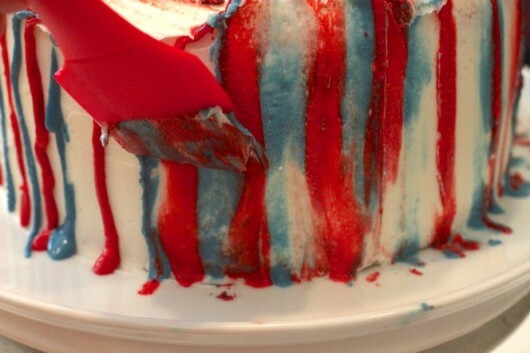 Mariah’s birth was certainly a miracle, but God had some icing He yet wanted to put on this red, white and blue birthday cake. That fall my other two children Robby and Tess were in a school play at Calvary Baptist Day school. The basic premise of their play was a historical trip through the Old Testament. Shortly into the story as you may imagine they were depicting the story of Abraham and Isaac specifically when Abraham was to sacrifice Isaac. I knew the story very well and could have almost narrated it, yet there was one detail that God still had for me. Gen 22:14 So Abraham called that place The LORD Will Provide. And to this day it is said, “On the mountain of the LORD it will be provided.” Then the children said Mount Moriah. Like a rocket going off in my mind was the significance of these before perceived random details that I now knew to be tiny brush strokes of the Master. I now marvel at the brush stroke of a daughter at an older age, like Abraham and Isaac and with me laughing at the thought of having another child after my bout with cancer and chemotherapy. The brush stroke of life itself as perhaps it looked like our family would be down to three, we now were five. The brush stroke of provision, God knew all along that He had provided and so it was with her name, Mariah, perhaps spelled differently but I got the point. That moment sitting in the dark while everyone else was following the next scene of the play the tears were flowing in my pew as heaven touched earth in my heart my eyes were opened to the tiny brush strokes of the Master.